Samsung recently introduced the Galaxy A40 and Galaxy A20, after the Galaxy A10, A30 and A50 smartphones last month, now the Galaxy A60 and Galaxy A70 (SM-A7050) and the Galaxy A60 (SM-A6060) smartphones have been certified by TENAA in China. This reveals a 6.7-inch display and a 4400mAh battery for the A70, which are similar to the A60 leak that surfaced earlier this month, so this should be the A70. The image also reveals an Infinity-U display, triple rear cameras, gradient back and an in-display fingerprint scanner. Coming to the Galaxy A60, this reveals a 6.3-inch display with in-screen camera, triple rear cameras with a ring, similar to the A50 and a rear-mounted fingerprint scanner. This should also feature a glass-like gradient back. It measures 155.2×73.9×7.9mm and packs a 3410mAh battery. 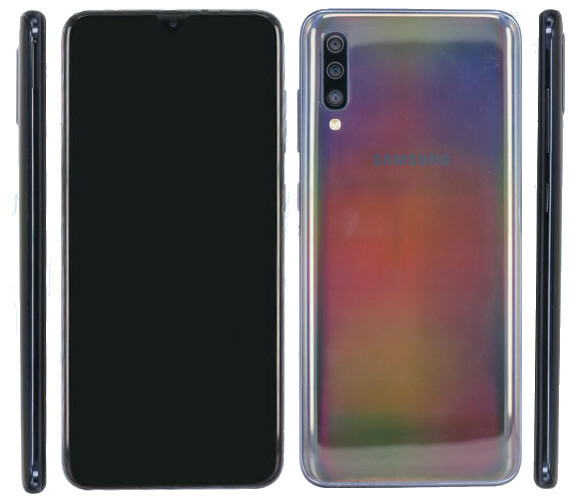 Both the Galaxy A70 and the Galaxy A60 are expected to be announced on April 10th along with the Galaxy A90 with a no-notch screen. We should know more specifications about the phones through TENAA soon.